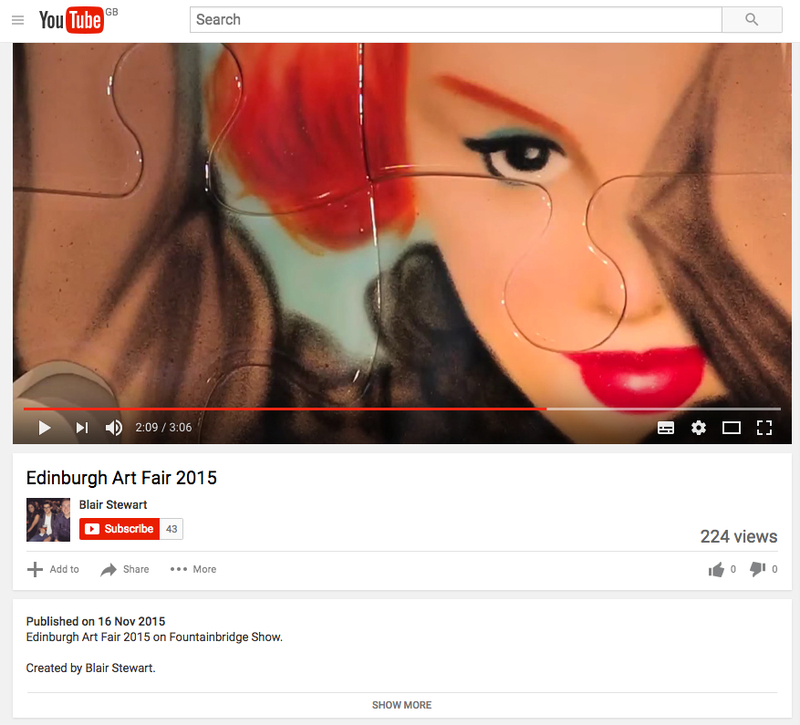 Our Gallery Director, Tracey Roxburgh was interviewed by Blair Stewart for the covering of the Edinburgh Art Fair 2015. You can also get a great view of our stand at the fair and a close up of our ever favourite artist Keymi. To view the video visit Blair Stewart Youtube channel here.